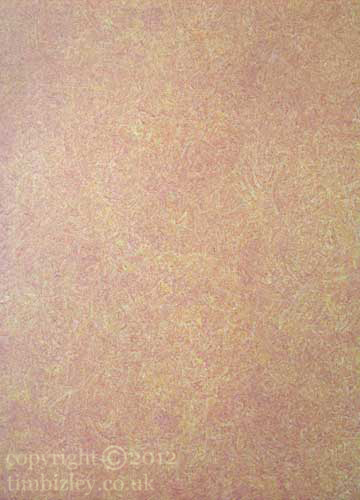 A texture created by using plastic bags or polethene sheeting to distress a wet paint surface. This example consists of two layers in differing colours. A surprisingly sophisticated result can be had which belies the humble origin of the tool, though some plastic bags are more upmarket than others.